Location: Ecology Center, Berkeley, Calif.
Special Notes: First seed library to open in the US. Have a very cool, downloadable planting guide for the SF Bay Area. Have a Curate-a-Crop program to get community members to grow out special varieties. Original organizers and inspiration include Christopher Shein and Sascha Scatter with Terri Compost maintaining it for over a decade...until the soil was fertile for the idea to go fungal. Thank you, BASIL! Special Notes: Have a community seed garden on the church grounds and have weekly work parties. Seed collection is almost 100% locally grown. 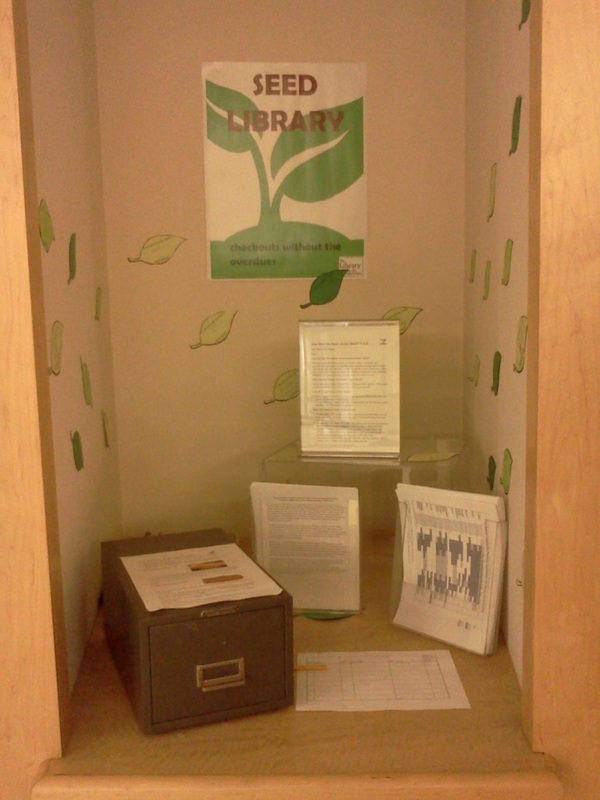 Seed library is open once a month and classes are offered. West County Community Seed Exchange, Sebastopol, Calif.
Organizers: Currently, Ellen Orabone, Grow Local Teaching Garden Coordinator, runs the Spread the Harvest program at the Sustainable Food Center, which offers a free seed library to all participants. 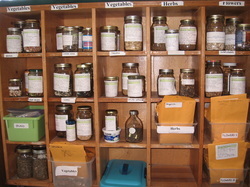 Partners: We have received many donations from different seed companies to stock our seed library. In the future, we will expand to be more of a seed bank, where local gardeners and farmers will be able to share their seeds with other community gardeners and farmers or store their native seeds for future seasons. Special Notes: We are currently working with a Girl Scout troop to purchase materials needed to expand to a seed bank, complete with seed refrigerators, seed-saving workshops, and community seed swaps. Cost: We purchase seeds (about $1,000 every year - funded by a grant) to stock the seed library from Mountain Valley Seeds and a local nursery – the Natural Gardener, and also receive donations from larger seed companies and other local nurseries. Location: East Palo Alto Library, East Palo Alto, Calif.
Special Notes: Collective Roots, the founding non-profit, also operates the East Palo Alto Community Farmers Market and the only community garden in East Palo Alto. We also teach free cooking, nutrition, and gardening classes throughout the community. East Palo Alto Seed Library, East Palo Alto, Calif.
Special Notes: Have a garden on site connected to children's learning and connected to the Square Foot Gardening Idea. Go into the local schools and teach about gardening, including an after school program. Have a CSA pick-up at the library and a raingarden demonstration program. 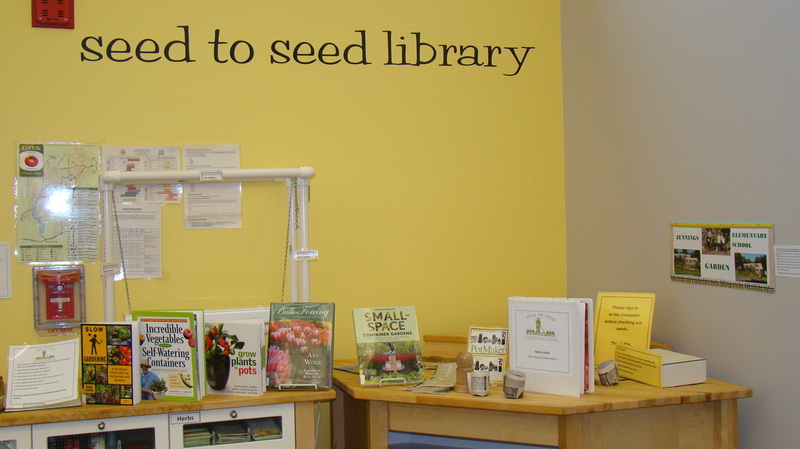 Special Notes: Has 8 seed library branches throughout the county with inter-library loans of seeds throughout all county branch libraries. Seeds are searchable on the library database. Circulation data shows that about 60% of seeds are from locally saved and shared seeds. Partners: No official partners, but all seeds have been donated, either by the community or Seed Saver’s exchange. Local gardeners Patricia Larenas and Hillie Salo have taught classes. Community members also help repack seeds to keep the library stocked. Special Notes: We try to support gardening at all levels. Events: Plant exchange in the spring, crop swap in the fall. Presentations and field trips as we can arrange them. Participating in the 2014 inaugural year of Silicon Valley Grows (one community, one seed).